Tonight is Final Friday in the historic Over-the-Rhine neighborhood. The monthly event is a celebration of the neighborhood’s rebirth with more than 30 participating artist galleries and merchants. 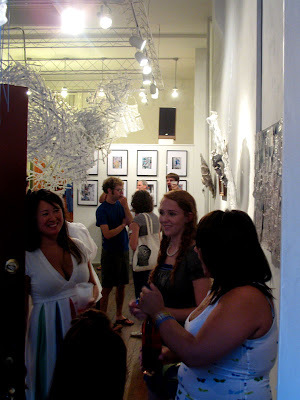 Those attending enjoy dozens of free art galleries and venues displaying the work of local artists. Neighborhood merchants will also have special deals, food, drink, music and more. Over on Main Street you’ll find most of the art galleries in addition to two of the neighborhood’s newest merchants – Original Thought Required and Atomic Number Ten. Also be sure to check out the famous Pendleton Arts Center between 6pm and 10pm. The PAC (map) boasts more than 200 artists – the largest collection of artists living under one roof in the world – and offers breathtaking views of historic Over-the-Rhine and Downtown.